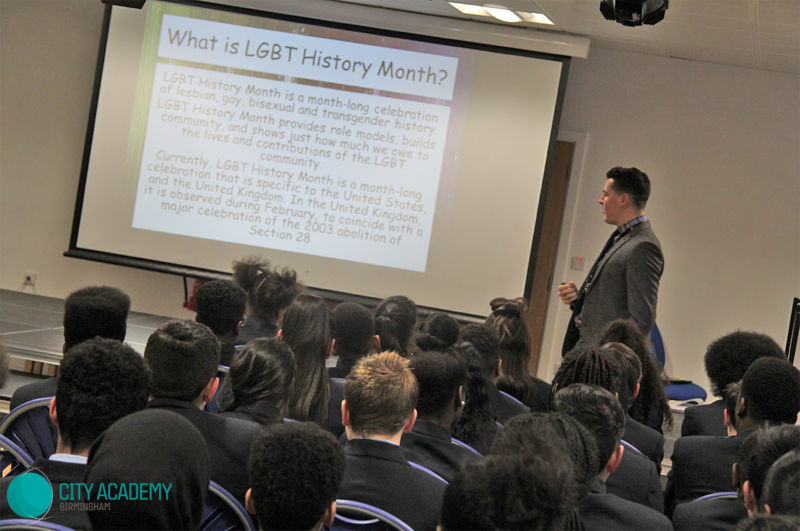 At City Academy Birmingham one of our CORE values is Respect, and this year’s LGBT history week was a total success with staff and students fully embracing and getting involved. Throughout the week students took part in a quiz finding out about influential LGBT figures related to the different curriculum areas. KS3 got behind a design a t-shirt competition, with loads of fantastic entries. 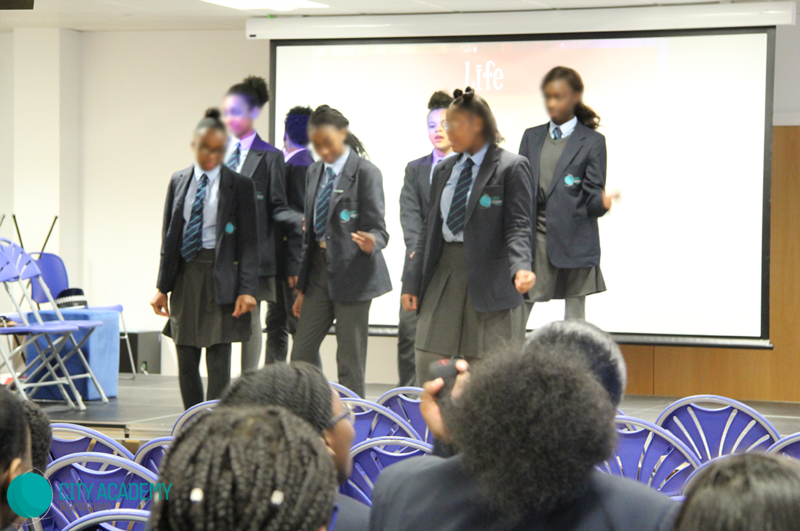 The cake sale for charity raised £80 for the local LGBT centre, with staff baking and the canteen selling some delicious cakes. 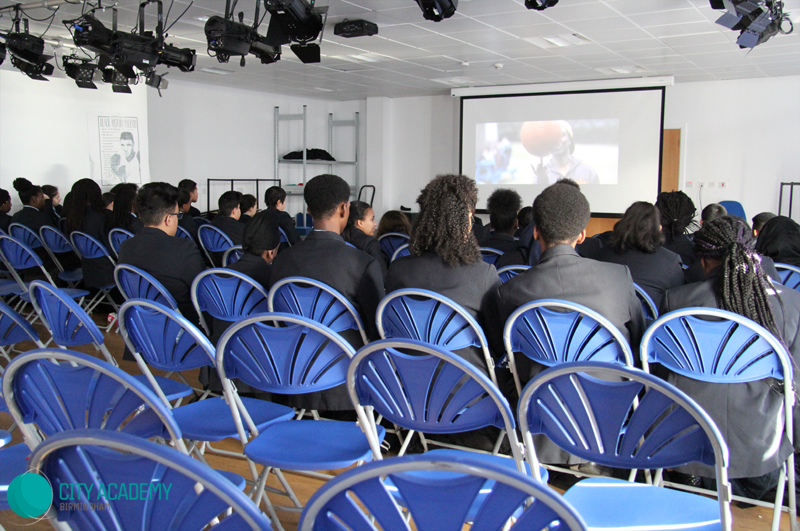 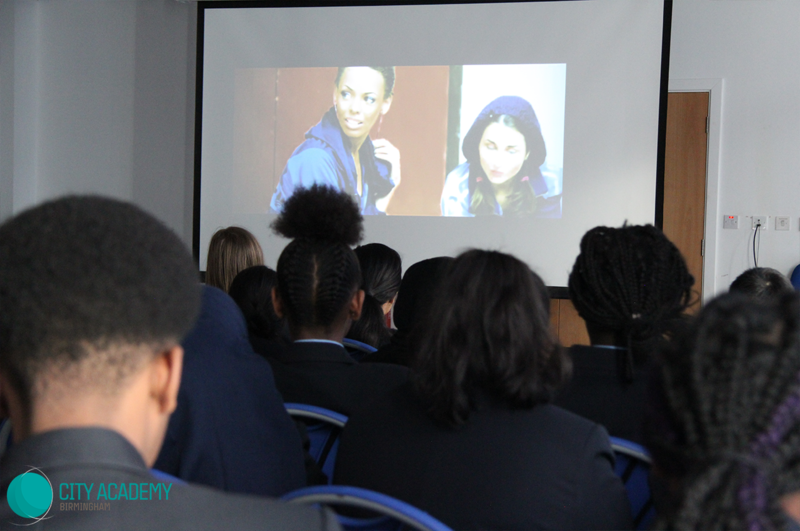 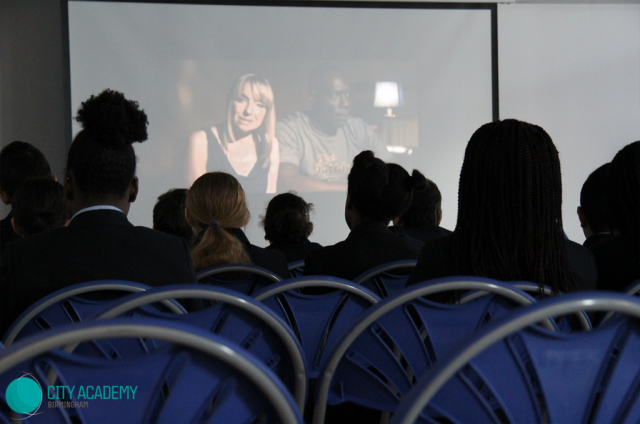 Friday saw around 60 students from years 7-10 attending a cinema morning, where a screening of a film produced by the LGBT Charity ‘Stonewall’ was shown. 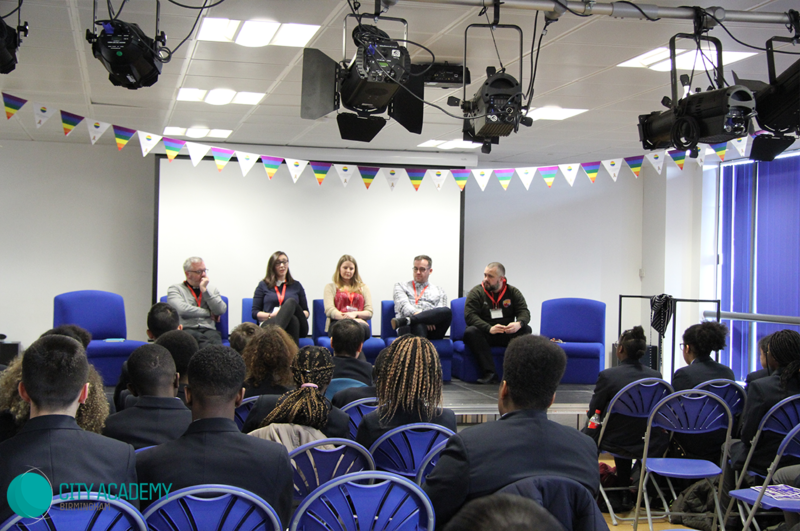 The highlight of the week was the annual LGBT panel. 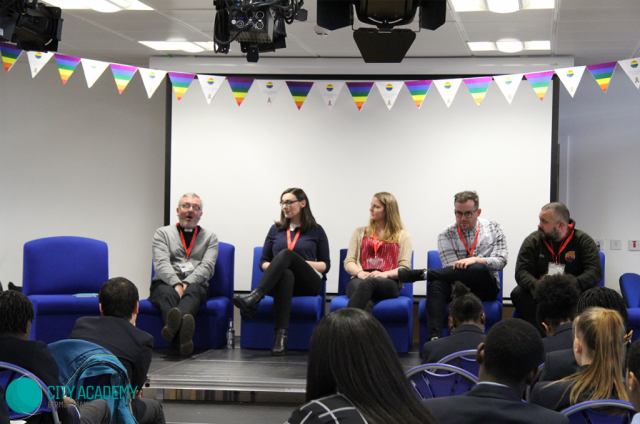 This year’s panel featured a Methodist minister, the founder of an LGBT football supporter’s group, a male nurse who is involved in England Rugby, and two women who travelled the world and experienced being LGBT across the globe. The students asked some fantastic and thought provoking questions, and the panel responded with some insightful responses. 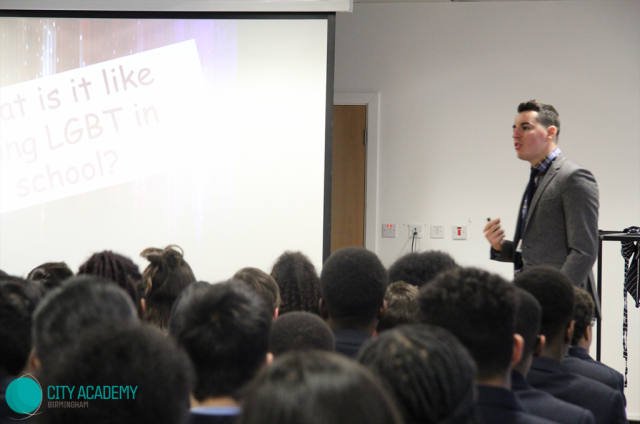 All in all, it was another successful LGBT history week.